Surely, attracting more women to manufacturing could solve the skills shortage plaguing U.S. manufacturing. Hundreds of thousands of skilled manufacturing jobs are available throughout the United States. Two-thirds of American manufacturing companies need to hire additional skilled workers, and more than half expect the shortage to grow worse in the next three to five years. But there’s more to this picture. Imagine women rising through the ranks within our manufacturing operations to take on leadership roles. Diversity at the top could significantly and positively alter the companies relate to each other throughout the supply chains, and dramatically impact corporate culture within U.S. companies. While women represent close to 50 percent of the U.S. workforce, only 30 percent of the 14 million Americans employed in manufacturing are women. Simply: We must attract more women to manufacturing. What’s keeping them a? A recent survey offers several reasons, including a lack of quality science and math education programs, and the presence of persistent stereotypes that say careers in technology, engineering and manufacturing are simply not for women. One recent study found that more than 70 percent of people around the world associate males with science, and females with the arts. This belief, despite the fact that elementary-school girls now earn higher grades in math and science than do boys, certainly deters girls and women from pursuing opportunities in engineering and manufacturing. And it too often discourages parents from lobbying their daughters to pursue these opportunities. Whether we want to admit it, we are limiting the career opportunities offered to women. To attract more women into the manufacturing fold, in 2009 the Precision Metalforming Association (PMA), Cleveland, OH, launched Women in Manufacturing (WIM), to bring thought leaders together to discuss best practices, business conditions and unique challenges and needs as minorities in the field. Under the WIM banner, PMA provides year-round networking opportunities, mentoring programs, a quarterly e-newsletter and an online directory. And, of course, the annual Women in Manufacturing Summit, which this year will be held October 29-30, in Milwaukee, WI. At this annual networking and educational event, women in manufacturing network with their peers, share perspectives and discuss leadership and communication skills. A welcome reception, networking dinner and keynote presentation closes out Monday’s agenda. Monday evening’s keynote speaker is Gayle Tauber, founder (along with her husband, Phillip) of natural/nutritious food manufacturer Kashi Company. Gayle and Phillip are entrepreneurs at heart, having launched their first business together in 1973 in Southern California, popularizing indoor plants and trees in the United States. Next came a foray into the bodybuilding industry with the launching of Vince’s Gym. Tauber and her husband “nurtured” Kashi for 17 years, growing it into an international company before selling to Kellogg Company in 2000. Tauber used the word “nurtured” often during my interview with her, to describe how the company grew. And that notion struck a common chord as I interviewed others for this article. That chord: Women in leadership/management roles often challenge themselves to create a family-like culture where employees feel nurtured and valued. Asked to describe her experiences as a woman entrepreneur, Tauber notes that over time she’s “gained self-confidence, which significantly impacted my leadership style. I’ve learned to understand the importance of encouraging employees to grow personally, and also professionally…That approach, I’m certain, has helped ensure the success of our businesses over the years. • It is more difficult for women to succeed in their field than it is for men. • A managerial bias exists that favors men over women. 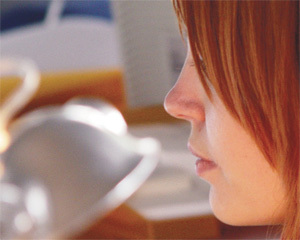 • There is a lack of professional development opportunities for women. 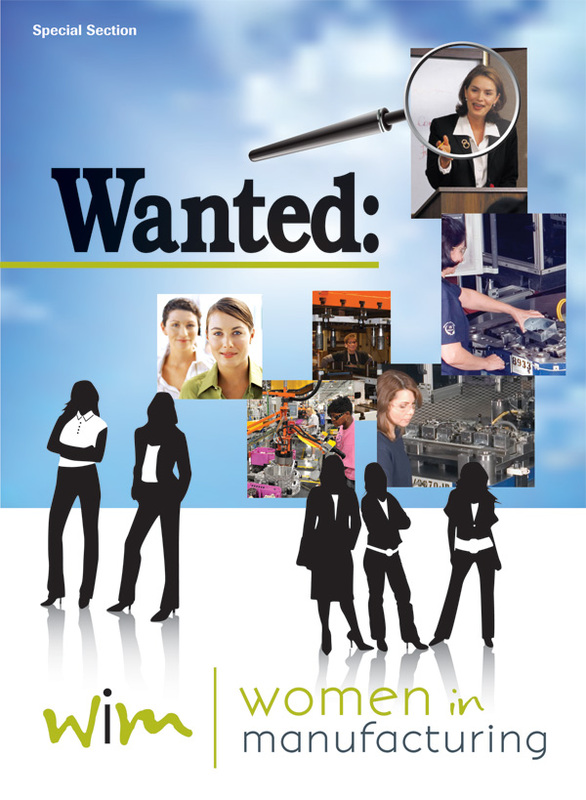 • Women in manufacturing have little or no networking opportunities. • Promotional/advancement opportunities are less plentiful than they are for men in manufacturing careers. Ace Wire Spring & Form Co.’s Linda Froehlich (shown here with her husband Rich and son Ritchy) attended last year’s WIM Summit and now is a charter member of PMA’s WIM networking group. Froehlich believes that women in leadership roles naturally tend to nurture their companies and their employees. Leading off the WIM Summit agenda on Tuesday, October 30, is a welcome address by guest speaker Gail A. Lione, recently retired from Harley-Davidson after having served for 13 years as executive vice president, general counsel and secretary, and chief compliance officer for the company, as well as completing a 5-yr. term as president of the Harley-Davidson Foundation. 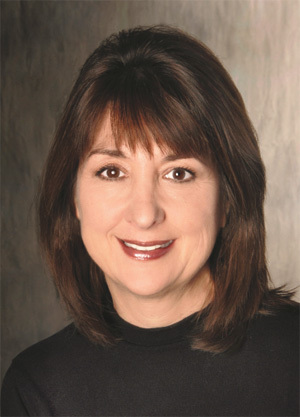 Lione, named 2012 Milwaukee BizTimes Woman Business Executive of the Year, advises women in the workplace to stay committed to achieving their goals and look at their careers in the long term. 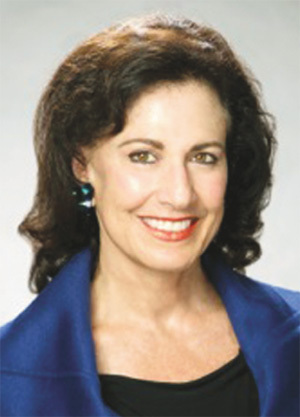 “Focus on the career trajectory of 40 years, not just 10 years,” Lione says, emphasizing that women who take temporary maternity leaves, or even stop working completely to stay home and raise their children, should strive to “stay connected with employers, to ensure you maximize opportunities to have a successful career upon reentering the workforce.” And employers should strive to stay connected to them to ensure they don’t lose the knowledge base and talent. 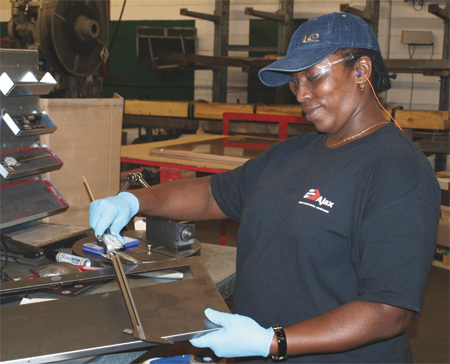 Lione knows all-too well the statistics cited earlier in this article—that women comprise only 25 to 30 percent of the manufacturing workforce. As such, she actively encourages women to closely evaluate their options when it comes to STEM careers (science, technology, engineering and mathematics). Where are Women in the Automotive Industry? 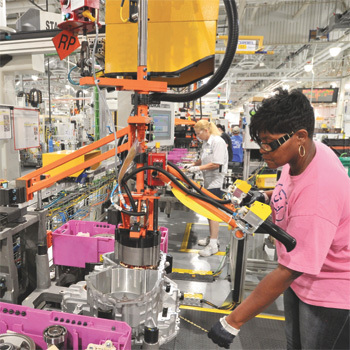 • In 2011, women held 25.9 percent of the jobs in the motor vehicle and motor vehicle equipment manufacturing industry. • Women hold 11.5 percent of corporate officer positions in the motor vehicle and parts industry, up just slightly from 11.2 percent in 2002 and 7.5 percent in 1998. Hiring women onto the Harley-Davidson team was not the end of Lione’s commitment to building a diverse workforce, it was the beginning. Noting that while she was one of very few women in law school, “I was fortunate at school to be mentored by a few women professionals, as well as women attorneys when I entered the workforce,” Lione says. “Those mentors taught me that all things are possible; you can achieve balance between work and home life, but it has to be your own. And so I’ve tried to pay that mentoring forward throughout my career—at Harley-Davidson and now in my roles as a member of several boards of directors (including a recently completed stint as chair of the Metropolitan Milwaukee YMCA), and as an adjunct professor at Marquette University Law School. Women are making strides in some business environments; “It’s time they made their into manufacturing,” says Lione. Over the last year, MetalForming magazine and the PMA Educational Foundation have collaborated to tell the stories of several leading metalforming companies that were named Metalforming Pioneers as part of a recognition program sponsored by the Hitachi Foundation. These companies were recognized for their commitment to workforce development, and for having experienced quantifiable returns on their training investments. Of the employees we interviewed at these award-winning companies, several were women who have successfully completed countless training courses, and climbed the ranks within their companies. Here we retell a few of those compelling stories. At western-Michigan metalformer Pridgeon and Clay, we met a recent graduate of its inhouse APO (automatic press operator) training program: Donna Carrothers. Carrothers joined the company in 1999 as a utility worker, stacking parts and helping the press operators. In 2001 she applied for and was awarded a machine-operator job and later became a lift-truck driver. In February 2007 she was awarded an APO trainee position and by the end of the year had become an APO. Carrothers has enjoyed a boost in wages of nearly 70 percent. DrePaul emigrated from Guyana in 2001 and worked in the home healthcare industry for several years before being laid off in 2006. As a machine operator at E.J. Ajax, she earns twice what she earned in home healthcare, and also boasts about the company’s benefits program. In addition to DrePaul’s responsibilities on the plant floor, where she partnered with another operator to earn Ajax’s 2011 5-S project of the year recognition, DrePaul also acts as vice chair of the safety leadership team. As such, she played a vital role during the company’s recertification efforts with the MNSharp (Minnesota Safety and Health Achievement Recognition) program, supporting the firm’s director of employee safety Neng Yang. As he does with several other employees, company vice president and co-owner Erick Ajax sees a bright future for DrePaul, and she can’t wait for the opportunity to live up to his expectations. At Oberg Industries, Freeport, PA, we met quality inspector Nancy Macurdy. “I came here wanting to learn and didn’t want a dead-end job,” she explains. “I went through the apprentice journeyworker training, and kept telling my boss that I wanted to learn more. 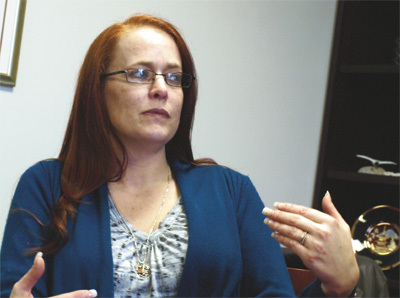 At GR Spring & Stamping, another western-Michigan stamper, we spoke with Jennifer Robinson, management representative-supplier quality, started at GRS&S in 1999 in the shipping department. “From the beginning, I wanted to learn everything I could,” she says. That willingness to learn propelled her to a shipping lead position. Interested in a posted quality position, Robinson was recommended for the job by her boss. The transfer to quality led her, through the company’s tuition-reimbursement program, to college courses where she is working toward a degree in quality engineering. Responsible for more than 100 GRS&S suppliers, and also an ISO and TS representative, Robinson’s compensation has gone from hourly to salaried, which doubled her pay. “If you have the desire and drive, there is als room to grow here,” she says. “There is openness here. You see the president and chairman of the company on the shop floor, which never happened at my former employer. And we have meetings where management explains where every dollar goes. A panel discussion on Best Practices for Manufacturing Management follows Lione’s talk. • Erickajoy Daniels, Brady Corp.
• Sheila Ratza, Brady Corp.
• Beri Fox, Marble King, Inc.
• Kellie Treppa, Schuler Inc.
Last but not least, the WIM Summit concludes with a presentation from Deloitte and The Manufacturing Institute on The State of Women in Manufacturing. The two organizations collaborated recently to conduct a survey on the roles that women are playing in manufacturing, and learn more about what companies can do to attract, retain and promote women. What’s forcing these women—an essential portion of the talent pool—to become disenchanted with manufacturing? Giffi and Benkarski agree that women aren’t looking for special treatment—most successful women, such as those interviewed for this article, insist that they’ve made it on their own, while crediting in most cases peer-mentors that offered advice all along the . The culture has to change, as does the image of manufacturing, in order to attract and then retain women in manufacturing companies. Otherwise, we’re limiting our companies to only half of the available talent pool.